I have described in this post how to setup RHCS (Redhat Cluster Suite) for ZFS services, however – this is rather outdated, and would work with RHEL/Centos version 6, but not version 7. RHEL/Centos 7 use Pacemaker as a cluster infrastructure, and it behaves, and configures, entirely differently. This is something I’ve done several times, however, in this particular case, I wanted to see if there was a more “common” way of doing this task, if there was a path already there, or did I need to create my own agents, much like I’ve done before for RHCS 6, in the post mentioned above. The quick answer is that this has been done, and I’ve found some very good documentation here, so I need to thank Edmund White and his wiki. I was required to perform several changes, though, because I wanted to use IPMI as the fencing mechanism before using SCSI reservation (which I trust less), and because my hardware was different, without multipathing enabled (single path, so there was no point in adding complexity for no apparent reason). 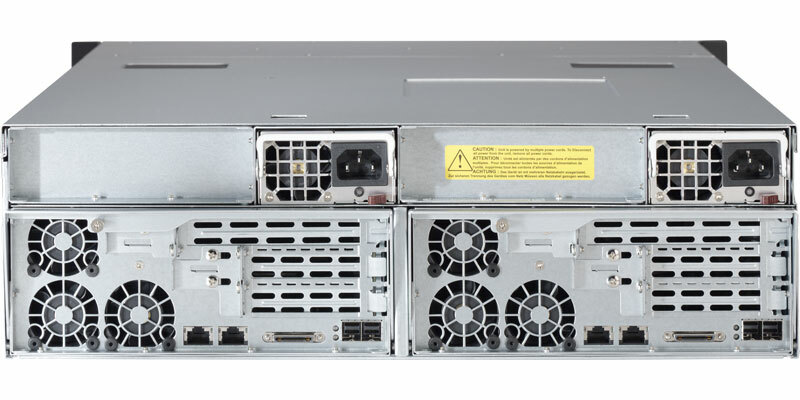 The hardware I’m using in this case is SuperMicro SBB, with 15x 3.5″ shared disks (for our model), and with some small internal storage, which we will ignore, except for placing the Linux OS on. I have disabled SElinux. It is not required here, and would only increase complexity. I have used Stonith levels – a method of creating fencing hierarchy, where you attempt to use a single (or multiple) fencing method(s) before going for the next level. A good example would be to power fence, by disabling two APU sockets (both must be disconnected in parallel, or else the target server would remain on), and if it failed, then move to SCSI fencing. In my case, I’ve used IPMI fencing as the first layer, and SCSI fencing as the 2nd. This was created as a cluster for XenServer. While XenServer supports both NFSv3 and NFSv4, it appears that the NFSD for version 4 does not remove file handles immediately when performing ‘unexport’ operation. This prevents the cluster from failing over, and results in a node reset and bad things happening. So, prevented the system from exporting NFSv4 at all. The ZFS agent recommended by Edmund has two bugs I’ve noticed, and fixed. You can get my version here – which is a pull request on the suggested-by-Edmund version. Two NICs, one bridged, and one using /dev/vmnet2, a personal Virtual switch. The host (carrier) is a Pentium 3 800MHz, with 630MB RAM. I don’t expect great performance out of it, but I expect a slow working testing environment. 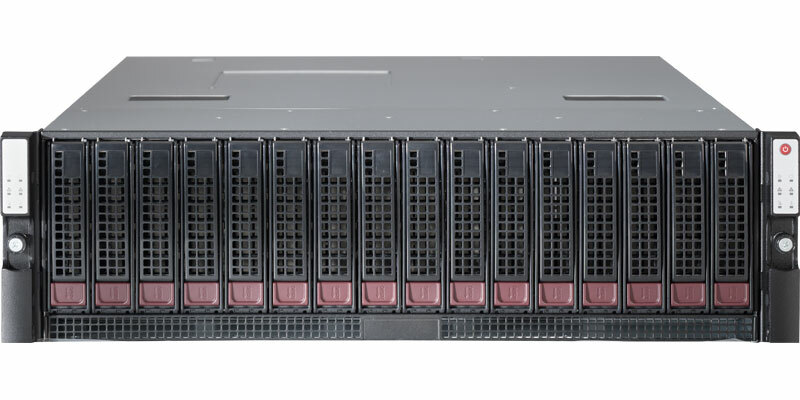 Veritas has advanced a great deal in the last few years, regarding ease of installation, even on multiple servers. Installing Cluster software usually involves more than one server, and installing it all, from a single point, is an advancement. My two nodes are named vcs01-rhel and vcs02-rhel, and the installation was done completely from vcs01-rhel. The installer assumes you can login using ssh (by default) without password prompt from one node to the other. In my case, it wasn’t true. I’ve found it quicker (and dirty, mind you!) to allow, for the sake of the installation and configuration process, to utilize rsh. It’s not safe, it’s not good, but if it’s just for the short and limited time required for the installation, I’de hack it so it would work. How did I do it? As said, quick and dirty. It allowed rsh from vcs01-rhel as root, without password. Don’t try it at an unsercure environment, as it actually allows not only vcs01-rhel, but any and every computer on the net full rsh, password free, access to the server. Better think it over, right? The first thing I’ve done after I’ve finished installing the software, was to undo my pam.d changes, and disable rsh service. Later, I will remove it. I’m asked about all the machines I need to install VCS on, I’m asked if I want to configure the cluster (which I do), and I set a name, a cluster ID (a number between 0 and 255). This Cluster ID is especially important when dealing with few Veritas Clusters running on the same infrastracture. If you have two clusters with the same Cluster ID, you get extra-large cluster, and a mess out of it. Mind it, if you’re ever into few clusters in one network. I decide to set it up onwards. I decide to enable the web management GUI, and I decide to set IP for the cluster. This IP will be used for the resource group (called ClusterService by default), and will be a resource in it. When/if I have more resource groups, I should consider adding more IP addresses for them. At least one for each. In such a case, the cluster server is serving clients requests without them being aware of any "special" setup with the server, like, for example, it has switched over two times already. I define heartbit networks. I’ve used eth1 as the private heartbit, and eth0 as both public network and "slow heartbit". I would add later some more virtual NICs to both nodes, and define them to be used as private heartbit as well. Installing packages – I decide to install all optional packages. It’s not that I’m going to lack space. I did not install, mind you, VVM, because I want to simulate a no-volume-manager-enabled system. Just pure basic simple partitions. Installation went fine, and I was happy as a puppy. One thing to note – I wanted to install the Maintanance Pack I have. I was unable to eject my CD. running lsof | grep /mnt/cdrom revealed that CmdServer, some part of VCS, was using the cdrom, probably because, as root, I initiated the service from that location. I shut down vcs service, and started it again from another path, and I was able to eject my CD. You could wonder why I haven’t used RHEL itself, but a clone, namely Centos. Although its for home usage only, the ease of updates, availability of packages (using yum) and the fact I do not want to steal software combined together bring me to install Centos for all my home usages. Production environments, however, it will be an official RedHat, I can gurantee that. It’s been a long while since I’ve written. I get to have, once a while, a period of time dedicated for laziness. I’ve had just one of these for the last few weeks, in which I’ve been almost completely idle. Usually, waking up from such idle time is a time dedicated to self studies and hard work, so I don’t fight my idle periods too hard. This time, I’ve had the pleasure of testing and playing, for personal reasons, both with VMWare GSX, in a “Cluster-In-a-Box” setup, based on recommendation regarding MSCS, altered for Linux (and later, Veritas Cluster Service) and both with RedHat Cluster Server, with the notion of playing with RedHat’s GFS, but, regrettably, without the last. First, VMware. In their latest rivalty with Microsoft over the issue of Virtualization of servers and desktops, MS has gained an advantage lately. Due to the lower prices of “Virtual Server 2005”, comparing with “VMware GSX Server”, and due to their excellent marketing system (from which we should all learn, if I may say! ), Not a few servers and virtual server farms, especially the ones running Windows/Windows setups, had moved to this MS solution, which is as capable as VMware GSX Server. Judging by the history of such rivalries, MS would have won. They always have. However, VMware, in an excellent move, has announced that the next generation of their GSX, simply called “Server”, would be for free. Free for everyone. In this they probably mean to invest more in their more robust ESX server, and give the GSX as a taste of their abilities. While MS do not have any more advanced product than their Virtual Server, it could mean a death blow to their effort in this direction. It could even mean they will just give away their product! While this will happen, we, the customers, will earn a selection of free, advanced and reliable products designed for virtualization. Could it be any better than that? So, I’ve reinstalled my GSX, and started playing with it. The original goal was to actually run a working setup of RHEL, VCS and Oracle 10g. Unfortunately, VCS supports only RH3 (update 2? ), and not RH4, which was a shame. At that point, I’ve considered using RH Cluster Server for the task at hand. It grew to the task of learning this cluster server, and nothing more, which I did, and I can and would share my concepts about it here. All clusters contain a group of resources (Resource Group, as most vendors call them). This group contains a set of resources, and in some cases, relations (order of startup, dependencies, etc). Each resource could be any single element required for an application. Example – Resource could be an IP address, which without you won’t be able to contact the application. Resource could be a disk device, containing the application’s data. It could be an application start/stop script, and it could be a sub-application – an application required for the whole group to be up, such as a DB for DB driven web server. The order you would ask them to start would be IP, disk, DB, web server (in our case). You’d ask the IP to be brought up first because some of the cluster servers can trick an IP based clients into some delay, so the client hardly feels the short downtime of application failover. But this is for later. So, in a resource group, we have resources. If we can separate resources into different groups, if they have no required dependency between them, it is always better to do so. In our previous example, lets say our web server uses the DB, but it contacts it using IP address, or using hostname. In this case, we won’t need the DB to run on the same physical machine the web server is using, and in such a case, assuming the physical disk holding the DB and the one holding the rest of the web application are not the same disk, we could separate them. The idea, if I can try to sum it up, is to split your application to the smallest self-maintained structures. Each structure will be called resource group, and each component in this structure is a resource. On some cluster servers, one could group and set dependencies between resource groups, which allows for even more scalability, but that is not our case. So we had resource groups containing resources. Each computer, a member in the cluster, is called a node. Now, let’s assume our cluster containing three nodes, but we want our application (our resource group) to be able to run on only two specific? In this case, we need to define, for our resource group, which nodes are to be associated with it. In RH Cluster Server, a thing called “Domain” is designed for it. This Domain containes a list of nodes. This Domain can be associated with Resource Group, and thus set priority of failover, and set the group of nodes allowed to deal with the resource group. All clusters have a single point of error (unlike failure). The whole purpose of the cluster is to allow for non-cluster-aware application the high-availability you could expect for a (relatively) low price. We’re great – we know how to bring an application up, we know how to bring it down. We can assume when the other node(s) is/are down. We cannot be sure of it. We try. We demand few means of communication, so that one link failure won’t cause us to corrupt our shared volumes (by trying multiple access into them). We set a whole system of logic, a heartbit, just name it, to avoid, at almost all cost, a status of split-head – two cluster nodes believing they are the only ones up. You can guess what it means, right? In RH, there is a heartbit, sure. However, it is based on bonding, in the event of more than one NIC, and not on separated infrastructures. It is a simple network-based HB, with nothing special about it. In case of loss of connection, it would have reset the inactive node, if it saw fit, using a mechanism they call “Fence”. A “Fence” is a system by which the cluster can *know* for sure (or almost for sure) a node has been down, or the cluster can physically take a node down (poweroff if needs), such as control of the UPS the node is connected to, or its power switch, or alternate monitoring infrastructure, such as the Fibre Channel Switch, etc. In such an event, the cluster can know for sure, or can assume, at least, that the hung node has been reset, or it can force it to reset, to release some hung application. Naming – Resource group is called Service. Resource remains resource, but an application resource *must* be defined by an rc-like script, which accepts start/stop (/restart?). Nothing complicated to it, really. The service contains all required resources. 1) IP Address – Unique for my testing purposes. All in all, it was brought up correctly, and switch-over went just fine, including in a case of correct and incorrect reset of the active/passive node, however, when I’ve killed my apache (killall httpd), the cluster detected failure in the application, but was helpless with it. I was unable to bring down the “Service”, as it failed to turn off Apache (duh! ), so it did not release neither the IP address, nor the shared volume. In so doing, I’ve had to restart the service rgmanager on both nodes, after manual removal of the remains of the “Service”. I didn’t like it. I expect the cluster to notice failure in the application, which it did, but I expect it to either try to restart the application (/etc/init.d/httpd stop && /etc/init.d/httpd start) before it fails completely, or to set a flag saying it is down, remove the remains of the “Service” from the node in question (release the IP address and the shared storage), and try to bring it up on the other node(s). It did nothing of the likes. It just failed, completely, and required manual intervention. I expect HA-Cluster to be able to react to an application or resource failure, and not just to a node failure. Since HA-Clusters are meant for the non-ideal world, a place where computers crash, where hardware failures occure, and where applications just die, while servers remain working, I expect the Cluster Server to be able to handle the full variety of problems, but maybe i was expecting too much. I believe it to be better in their future versions, and I believe it could have been done quite easily right now, as long as detection of the failed application occurred, which it has, but it’s not for me to define the cluster’s abilities. This cluster is not mature enough for real-life production sites, if and only because of its failure to react correctly to a resource failure, without demanding manual intervention. A year from now, I’ll probably recommend it as a cheap and reliable solution for most common HA-related tasks, but not today.